You have 10+ years of experience, and now the problem of what to write in the resume has been replaced with the one on how to put it all short? Let our writers do the job. As a result, you get all you key achievements saved and presented in a favorable way while the cv remains not too long. It is time to show all your great background in a complimentary manner and get the desired appointment. Your skills, talents, and knowledge deserve to be presented right. And your cv will definitely stand out in a pile of the applications. So, you’ve reached the point when your most significant achievements exceed 2 pages. Still, you want to grow further and communicate your core strengths to potential employers. So much info and so little time to put it in order? Maybe it’s time for an executive resume? Executive resume writing is a service for you to get a top manager position or just get on the list of senior managers. Here is the place to ask wise and responsible writers for help with this important career turn. 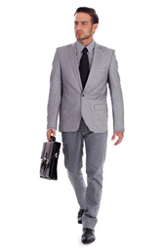 For your well-informed choice, we also provide executive resume samples. Below, you can download a sample executive resume and get in touch with a skillful writer. Show the world how you can get big things happening! “What I asked for was professional advice from a person with really good analytical skills. I’ve got what I wanted. My resume package is impressive. I’m writing my friend to recommend your service right now”. Ready to try our highly personalized executive resume service? Drop us a line or dial our number right now! It’s time for serious change, and you have the power to make them.